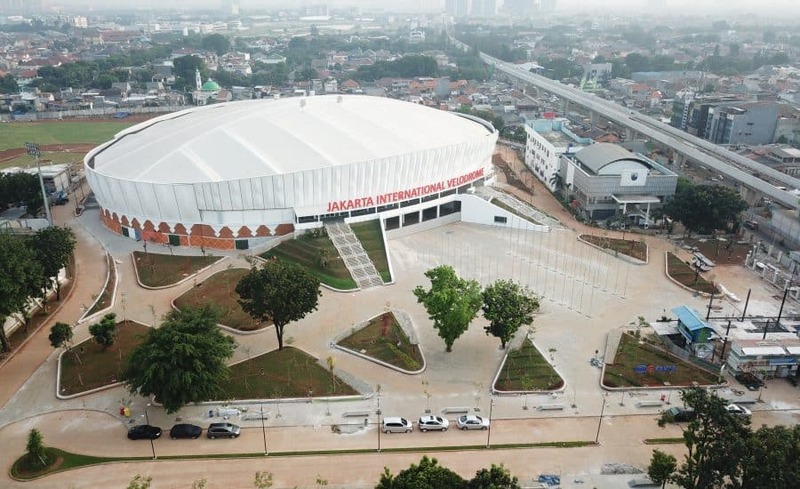 The International Velodrome Jakarta, Indonesia: indoor cycling venue for the 2018 Asian Games. 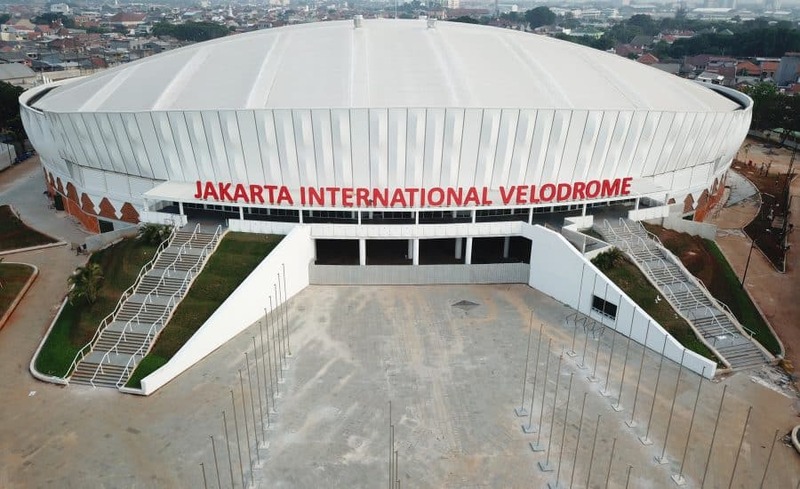 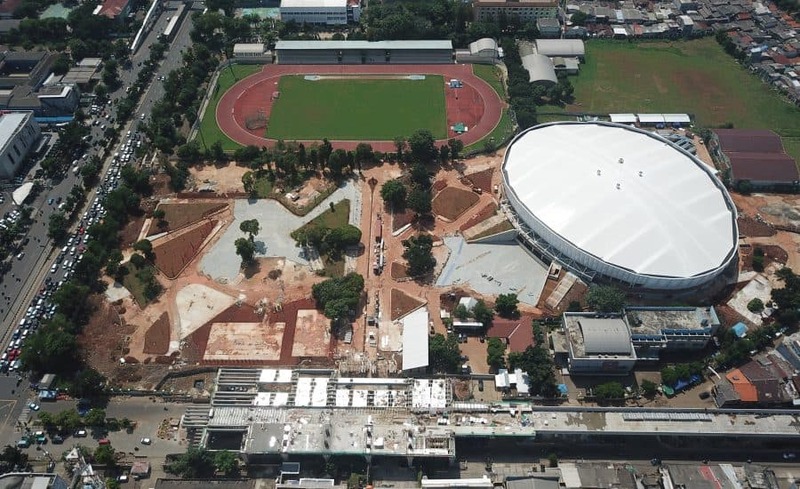 Aside from the 2018 Asian games, the velodrome was designed in mind to host a variety of further events and activities, making this a great attraction for both the local community and tourism alike. 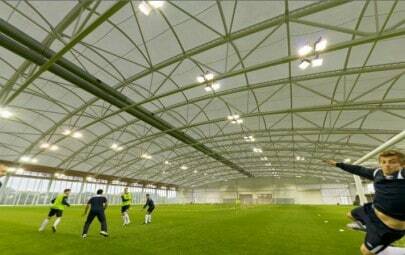 The scope was to design and engineer the tensile fabric roof consisting of 20 panels spanning 8m wide at varying lengths of up to 40m. 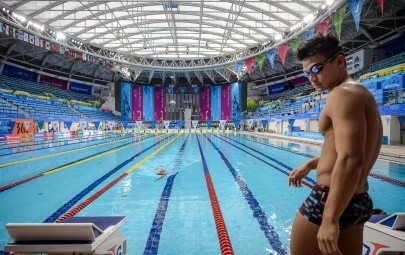 Careful consideration was paid to the light levels of the tensile structure, to achieve the requirement of minimal artificial light. 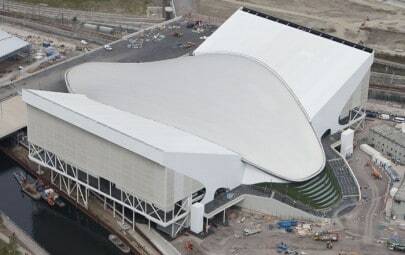 In addition to the roof we also designed and engineered an acoustic liner that sat under the roof. 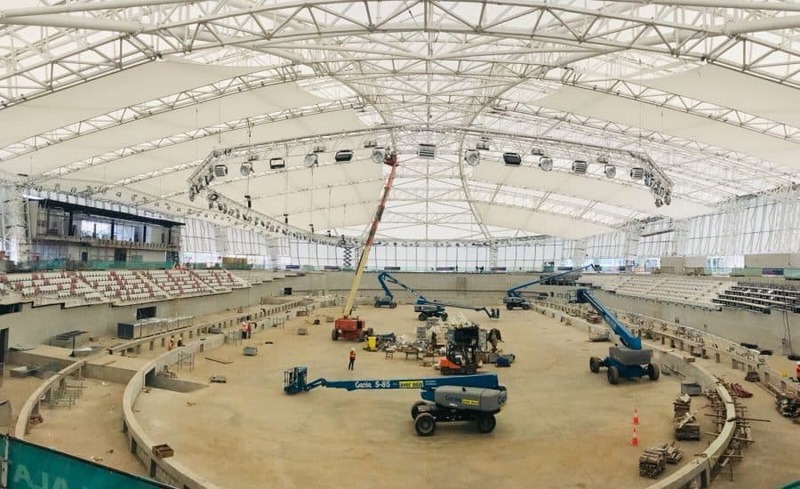 Utilising the properties of the tensioned PVC roof and the acoustic tensile fabric layer, the consultants were able to achieve the required light levels for venue. 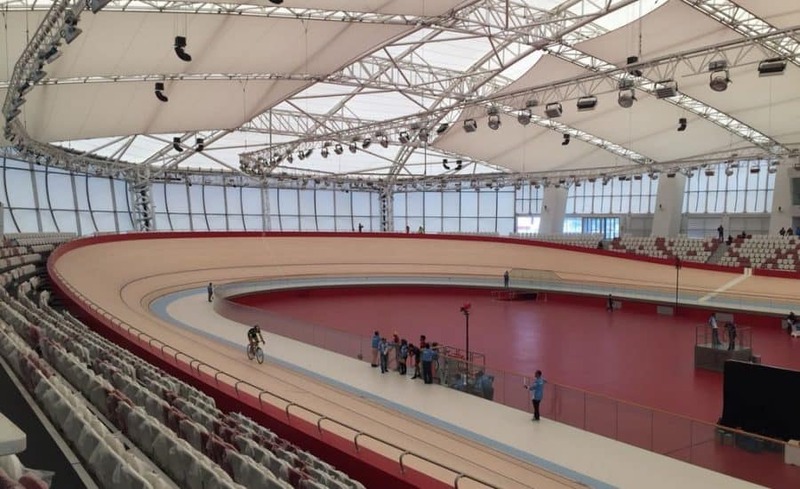 The Velodrome is an example of how a tensile membrane structure can achieve both sound absorbing properties as well as a high level of light transmission.